Hi everyone, another of the stamp sets which captured my imagination from the new Occasions catalogue is the Incredible Like You stamp set. The fonts used for the sentiments first drew my attention – they look amazing. The more I use the set, the stamp which has fast become my favourite is the stripey lines. They are so versatile! I’ve used them to add a little border like on this card here, and now I am using them to create a fantastic background. 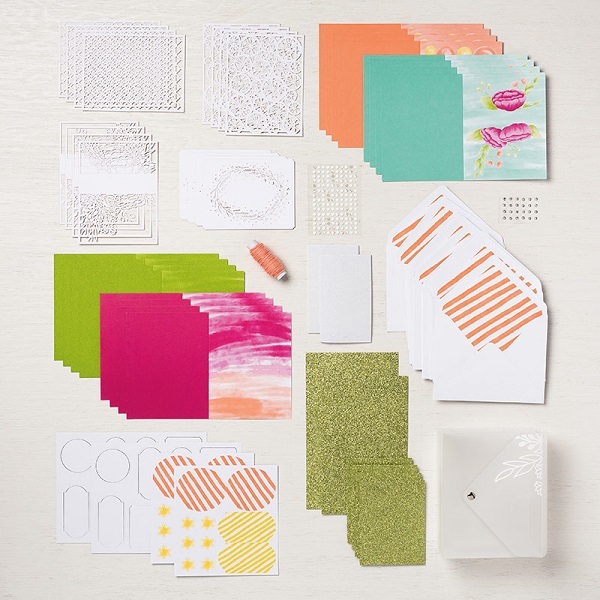 You could easily create multiples of this card using different colour combinations. I think they’d look amazing! Hi everyone, it’s Blog Hop day! Yay! 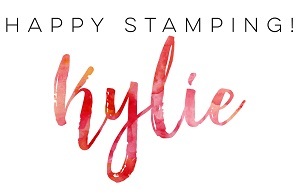 I loved participating in the last Stampers Anonymous Blog Hop so couldn’t wait to join in on another one. 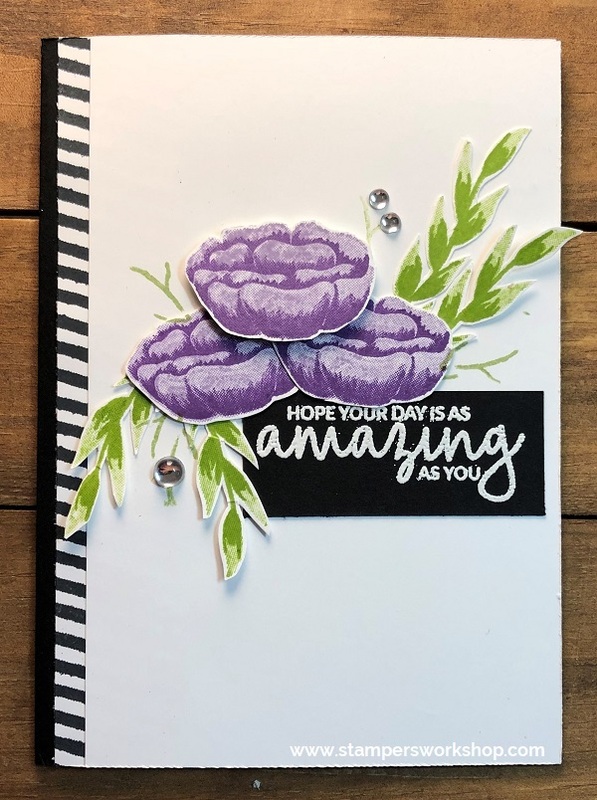 The theme of this Blog Hop was to make a card using one of two stamp sets we received at OnStage back in November. 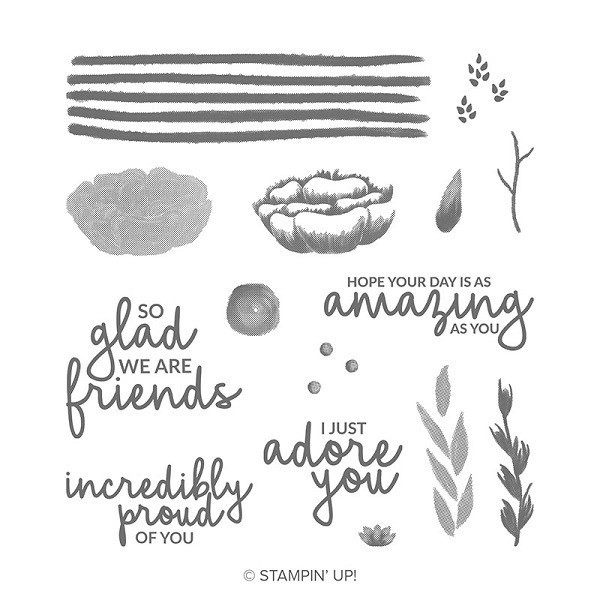 The stamps sets are Incredible Like You or Amazing Life. 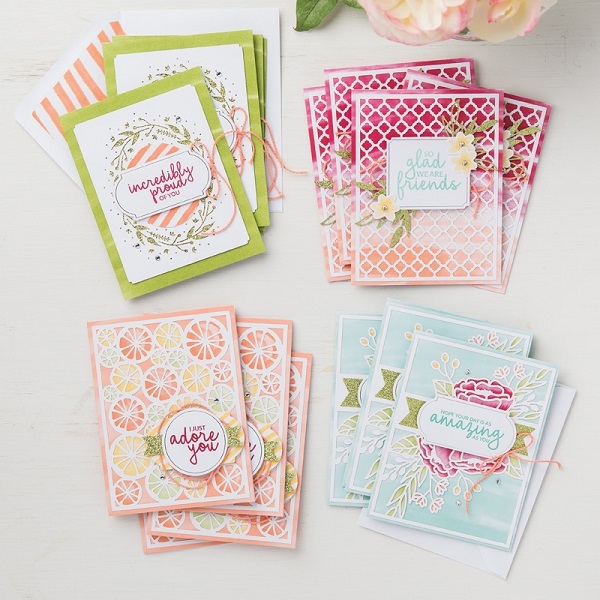 These gorgeous stamp sets will be available in the Occasions 2019 catalogue coming very soon. 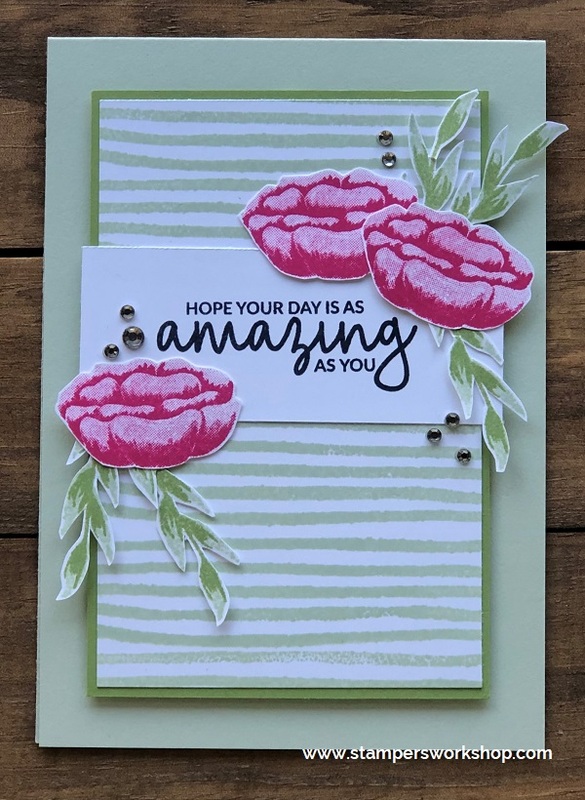 While both stamp sets are beautiful I couldn’t wait to play with the Incredible Like You set so that is the one I chose for the Blog Hop. TIP: As the stamps in this set are photopolymer, you can bend them a little before adhering them to your acrylic block. This meant that I could curve the leaves a little to create a little more interest to my design. Also, can you see the black lines? They were stamped using the lines stamp from this set. Remember you don’t always have to use the stamp as it was originally designed. I think I am going to be using this stamp a lot in this way. I love how it looks. This was so much fun! I know you are going to love seeing all the other projects the ladies have made. Such a talented group!